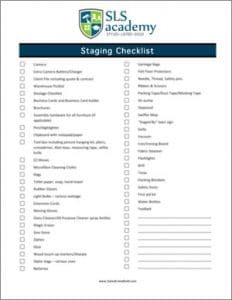 Download This Free Staging Checklist So You’re Never Caught Unprepared Again! 48 Must Have Items You Need For Your Next Staging Project! As a home stager, your clients are counting on you to be prepared at all time, and this means being armed with the tools that you need to execute an efficient stager – every time! No matter how well you plan for your upcoming staging project, it can be easy to forget the essentials – especially when you’re new (am I the only one who forgot to bring light bulbs to a staging?)! The absolute #1 tool you need… Not just for this client but for getting your next one too! Must-have cleaning products to make your stage shine! Please Enter Your Email Address Below To Receive The Staging Checklist Report!